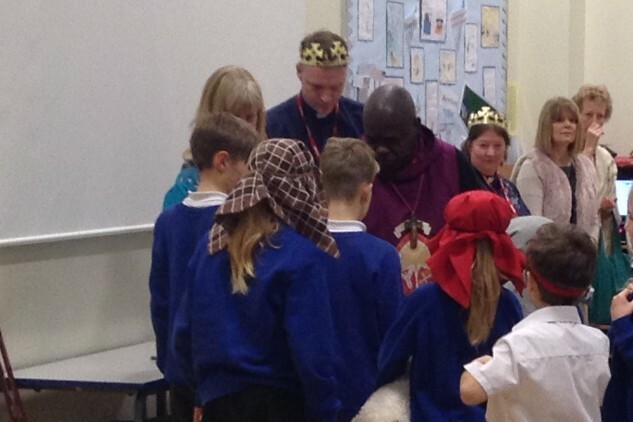 The Archbishop of York, Dr John Sentamu visited Saltburn Primary School this morning as part of his 6 month pilgrimage of Prayer, Witness and Blessing across the Diocese of York. 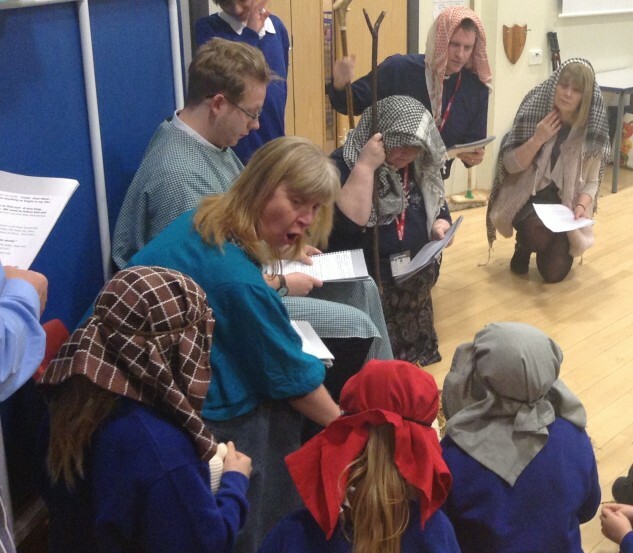 He joined pupils and staff during their morning assembly, 9.00-9.30am. Whilst in the area, the Archbishop will also go to the Earthbeat Centre, local churches, East Cleveland Hospital and Skelton Primary School; as well as visiting Loftus and Redcar throughout the following days. Mr Eyre, our Executive Headteacher, said, ‘we were delighted to welcome Archbishop Sentamu to the campus. We believe that we are all learners, always learning, and it was a wonderful opportunity for the Archbishop to be involved in our assembly to share some of his personal learning whilst on his Pilgrimage’. ‘Along with the ‘Open the Book’ team at Saltburn Primary, I’m really pleased about Archbishop Sentamu visiting the school. I know he enjoyed his time there and was able to ask a few questions put to him by the children about his Pilgrimage and his plans. A small group of children walked with him to what was his next stop at the EarthBeat Centre’, said Rev Adam Reed, Saltburn’s Emmanuel Church.